Mrs. Roberta Jordan was born May 22, 1924 in McCool, Mississippi. She was the daughter of George and Katie Potts Hughes. 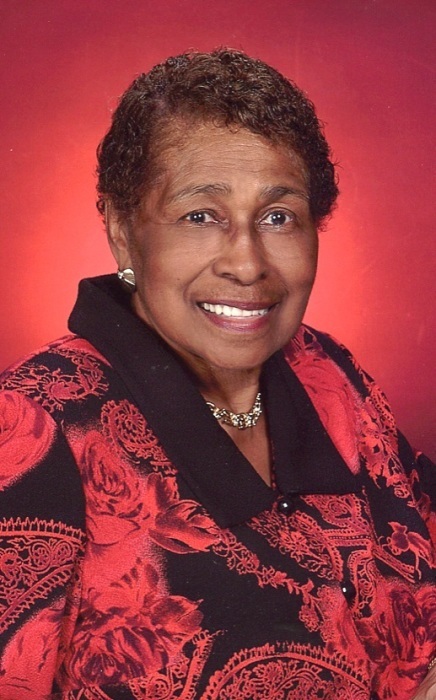 Services for Mrs. Jordan will be 11 am, Thursday at Second Baptist Church, Rock Island. Visitation will be one hour prior to the service at the church. Burial will be in Chippiannock Cemetery, Rock Island. Memorials may be made to Second Baptist Church. Wheelan-Pressly Funeral Home and Crematory, Rock Island is assisting the family. She received her primary and secondary education in local area schools of Mississippi. Roberta professed her belief in Christ at an early age. Upon her move to the Davenport, Iowa she became a member of Third Missionary Baptist Church. She later moved to Rock Island, Illinois and became a member of Second Baptist Church. Church was her passion. She enjoyed singing in the choir and spending time with her church family. Sister Roberta Jordan was employed at Project Now for over 20 years, until she retired. In her leisure time she enjoyed singing, cooking, and making coffee every Sunday for Pastor and her church family. Sister Roberta Jordan departed this life on Sunday, April 14, 2019 at the age of 94. She was preceded in death by her mother and father; five sisters and two brothers; two nieces; two nephews and her grandson, David Montgomery (Tiger).